Has that pesky polar vortex got you down? 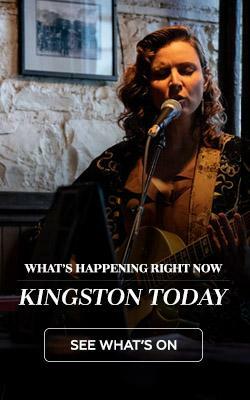 Even in the depths of winter, Kingston has the answer. 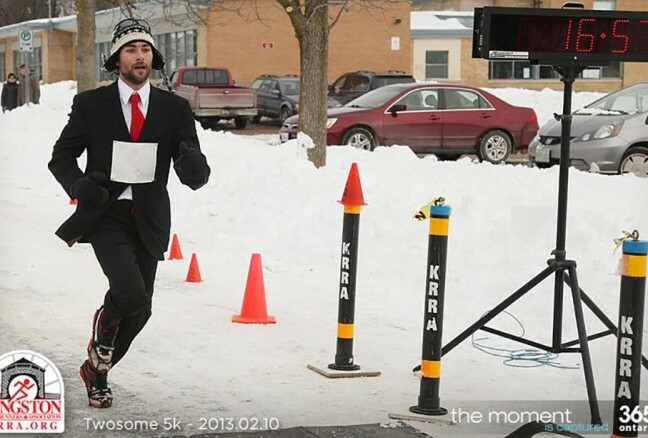 You can engage in traditional winter sports, decide to ignore the white stuff, or you can lace on your running shoes, joining dozens of hard-core runners, back-of-the-pack runners, and my-goal-is-just-not-to-die-on-the-course runners, for the 5K Twosome Run, this Sunday, February 2 at 10:30 a.m. Traditionally, the race has been held on the Sunday closest to February 14th and runners were encouraged to dress for a Valentine’s theme. This couple managed to win last year’s race and look elegant at the same time. The 2014 version of the Twosome promises to be even more colourful. 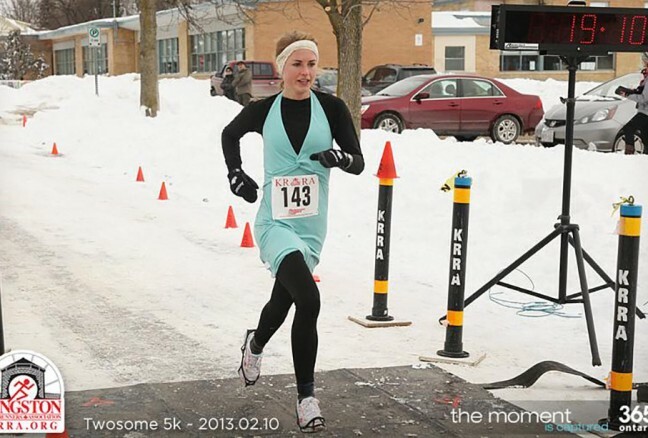 You might win a prize for your Valentine’s-themed get-up if that’s what you choose, but Kingston Road Runners Association organizers are also offering a prize for the best Groundhog Day or Super Bowl Sunday attire. There will be medals for the overall top three Twosome teams as well as for the top three pairs in each of nine age categories. Any combination of ages is possible, such as a twenty-something and an octogenarian teaming up for the 100+ category or two thirty-year-olds competing in the 60+ category. There will be great door prizes and after-race refreshments. If more clement weather is what gives you happy legs, you have a little less than three months to train for one of the KRRA Limestone Race Weekend events. 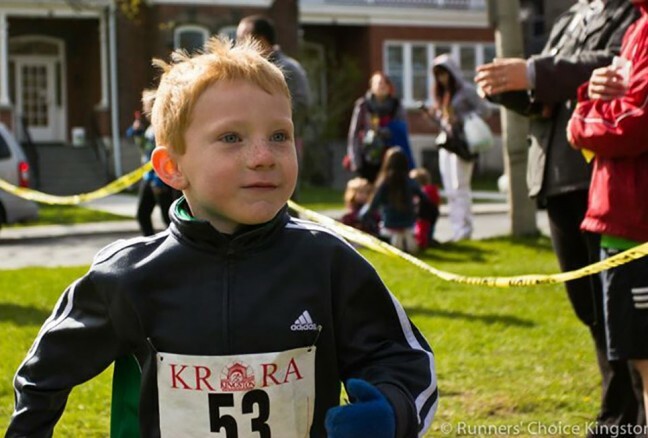 The action begins at 3:45 on Saturday, April 26, with the 3K Kids’ Fun Run in support of Start2Finish, a children’s running and reading program. 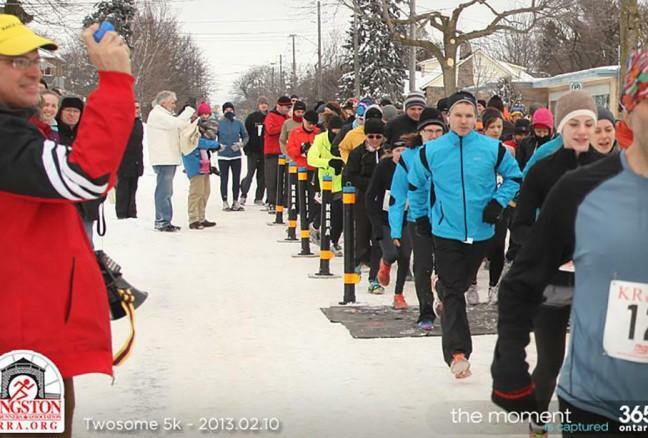 The KGH Trauma 10K at 5 p.m. follows the Fun Run. 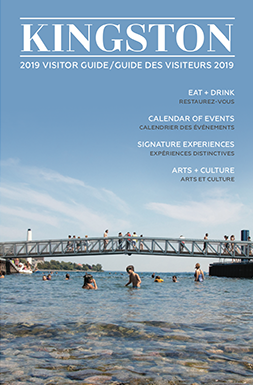 Proceeds from this dash along the waterfront help to spread information about preventable causes of trauma such as accidents involving recreational vehicles. 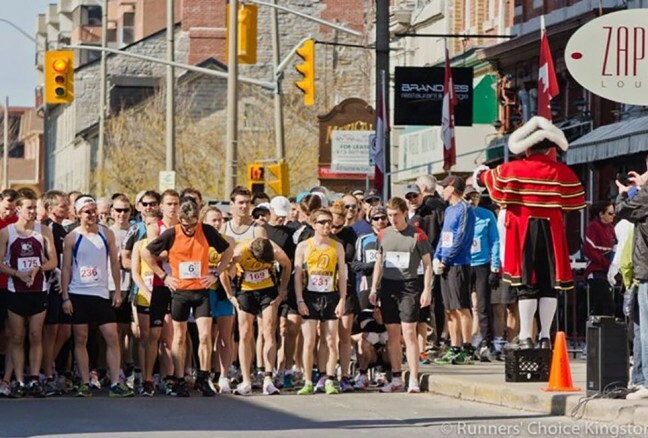 Sunday morning, April 27 at 9:30, there are two Limestone Race weekend events, a 5K and a half marathon, both heralded by Kingston’s award-winning Town Crier, Chris Whyman. Runners can enjoy typical post-race fare after their exertions, with the added boost of the Kingston Brewing Company’s hot chili. The 5K awards ceremony is at 10:30 and the half marathon awards at 11:45 a.m. round out the weekend’s activities. 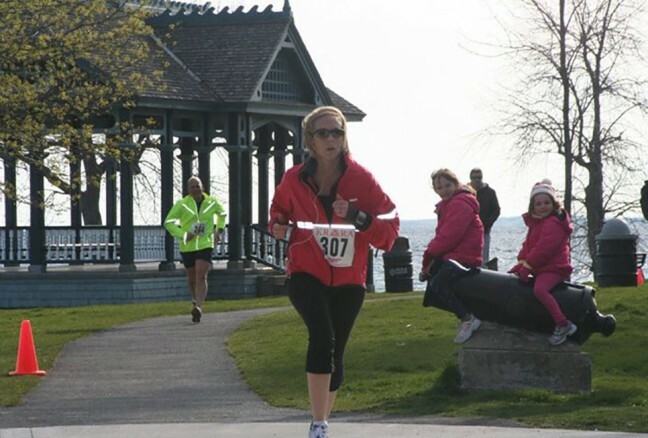 3K or half marathon, veteran runner or newbie, when it comes to racing in Kingston, you can take your pick. Sunday’s Twosome just might make that polar vortex less vexatious. It could give you bragging rights over your friends who think that sitting by the fire is the way to enjoy a Canadian February. Looking ahead to April, you might be happy to trot along and cheer on your seven-year-old niece as she takes on her first 3K. But 2014 just might be your year for a personal best in a 5, 10 or 21.1K race. If it’s your first, it’s automatically a PB! Have a look at KRRA website for more information on these races, as well as training groups and seven other 2014 races. You might get faster, or you might just get moving. Polar vortex, take note.